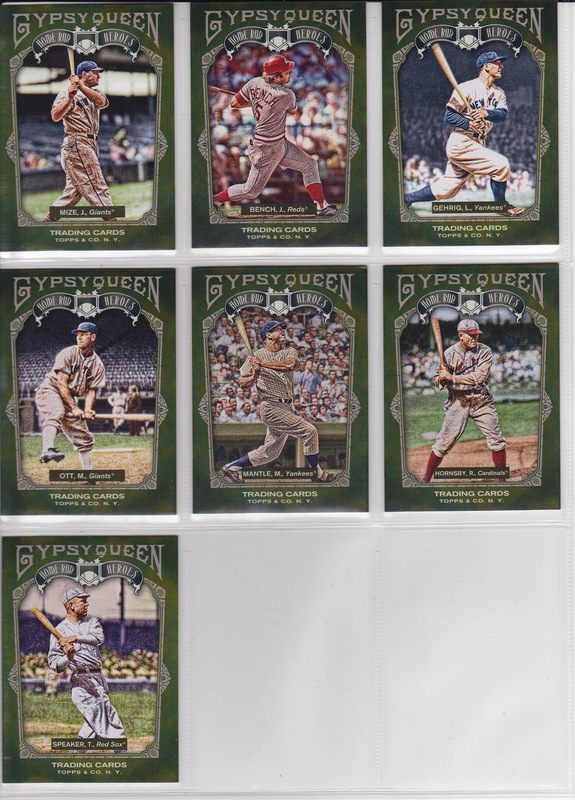 This is a pretty big one to complete – I finished off the 2011 Gypsy Queen set last month, including the SP’s. This product was the surprise of 2011 as far as how well it did, and I really liked the design and the way the pictures look. Since I’d completed every insert set by the time I got the base set done, my “look back” will cover everything – base and inserts. Well, I’ve busted my Ginter box, but I’m doing Gint-A-Cuffs and the rules don’t come up until Sunday. So for the time being, I’m going to cover a couple completed sets. 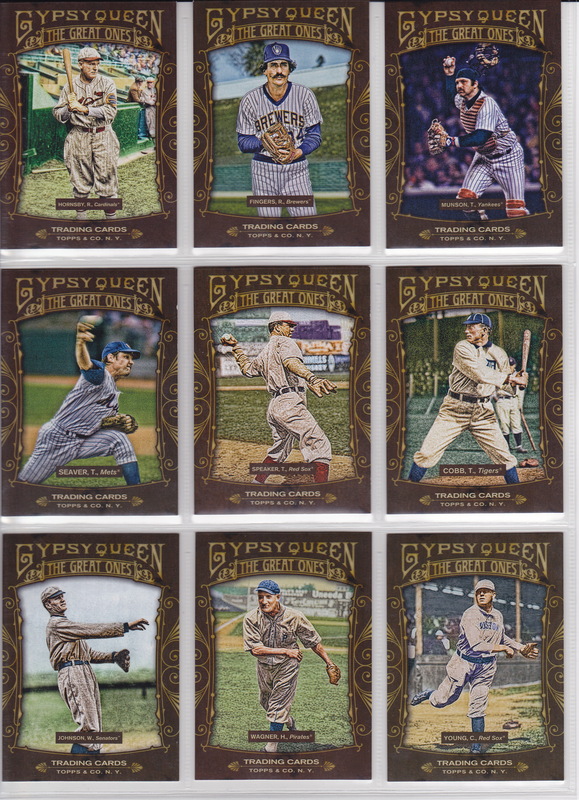 I wrapped up the “master set”, or at least what I’m considering the master set, for 2011 Gypsy Queen. The full look at everything is tomorrow. Today – is the last insert set I finished up. 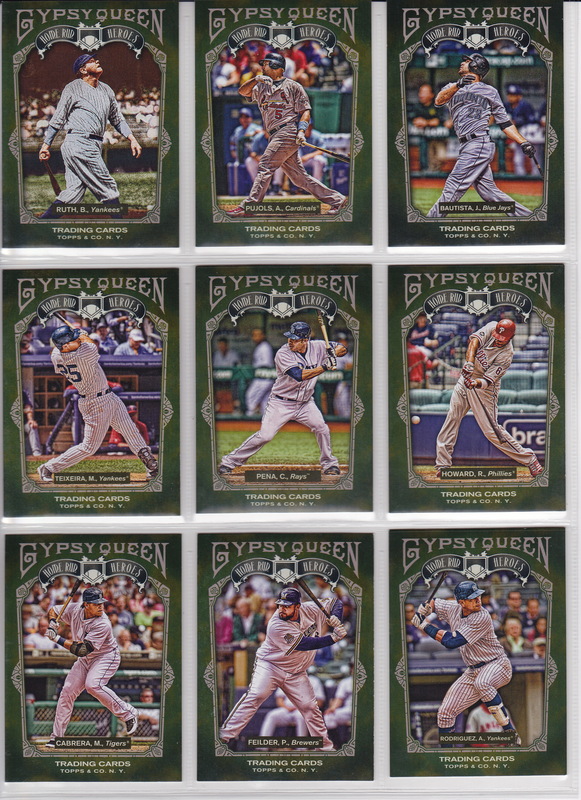 The sixth and final insert set I completed from 2011 Gypsy Queen is the only “non-baseball” insert set. It’s a play off the Gypsy Queen idea – called “Gypsy Queens”. This can be a little confusing. 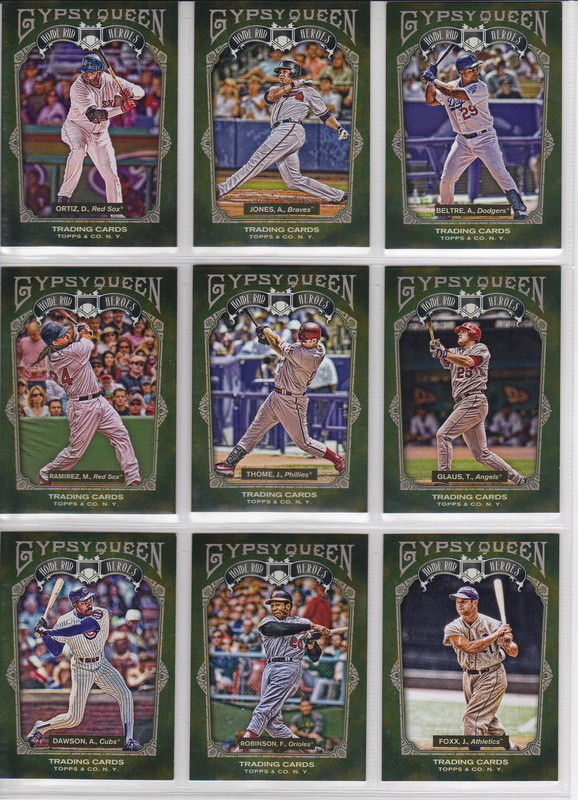 Like if you’re trying to search COMC for just Gypsy Queens the insert set – it’s hard to filter without getting every card from 2011 the 2011 product (not just the insert). Set description: “A colorful caravan of 20 Gypsy Queens”. Though it ended up only being 19 cards. I have a theory on why Topps dropped it to 19. It’s nothing earth-shattering, but involves Prince William, Kate Middleton and the gemstone parallels of these cards. This set features a bunch of made up Gypsies with some interesting writing on the back, usually describing some crazy thing that particular Gypsy Queen does. The borders feature some tan / orange-ish background. 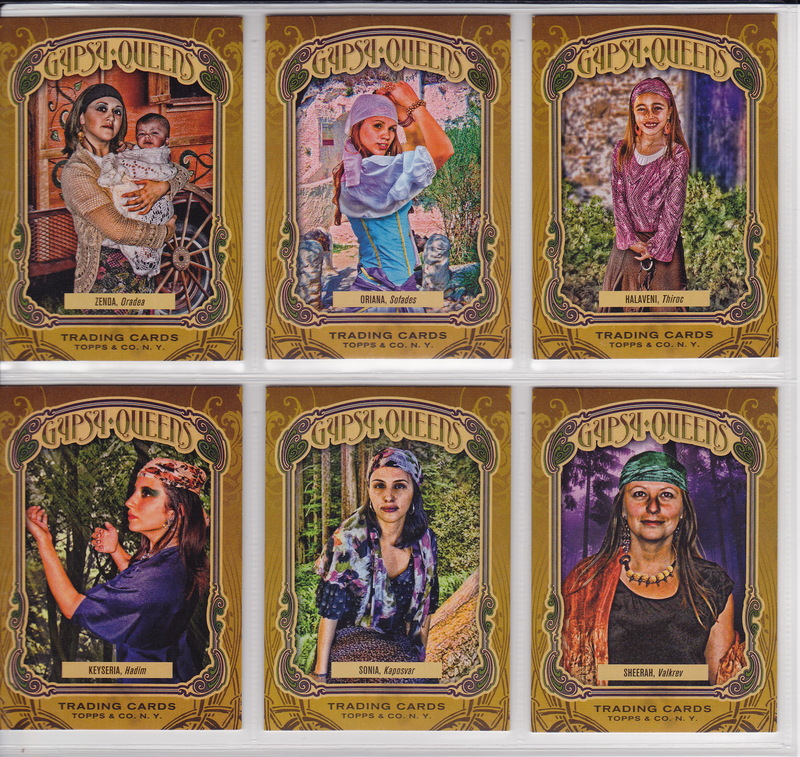 I’ve read that these gypsies are based off of Topps employees. There are also “tarot back”, autographed, and gemstone parallels of these cards. Hall of Famers: None – these aren’t even baseball players! Thoughts on the set: I collected it because it wasn’t that difficult, but it certainly is kind of weird. I like what they did this year (2012 – Gypsy Kings) better – at least they tied it to baseball. 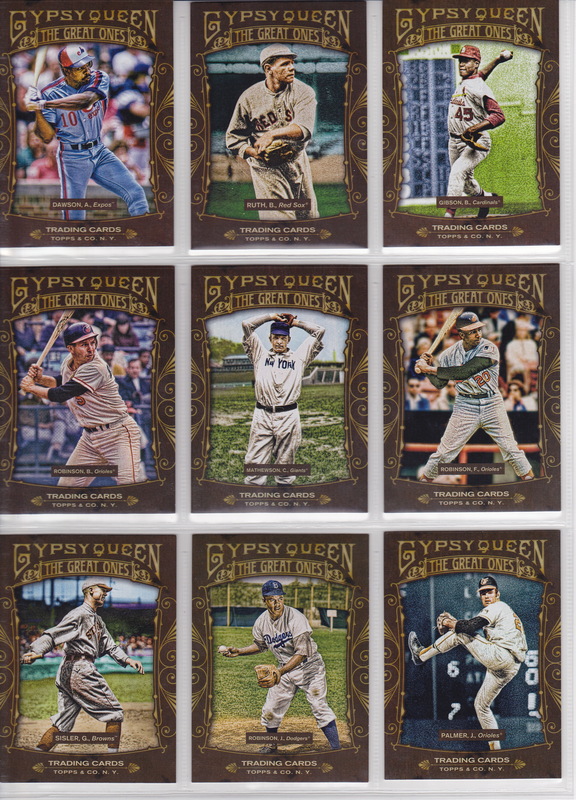 It was mildly interesting to read the backs – Topps had a lot of times where they reference one of the other Gypsy Queens. For instance, Hevalia (GQ18) is the sister of Sonia (GQ5). I bet you didn’t know that! I got this card from a Sportlots purchase. Because I’m a creep and she’s the hottest. Plus, the back of her card says she’ll help heal you (as opposed to some of the others who may turn you into a bloodthirsty werewolf). 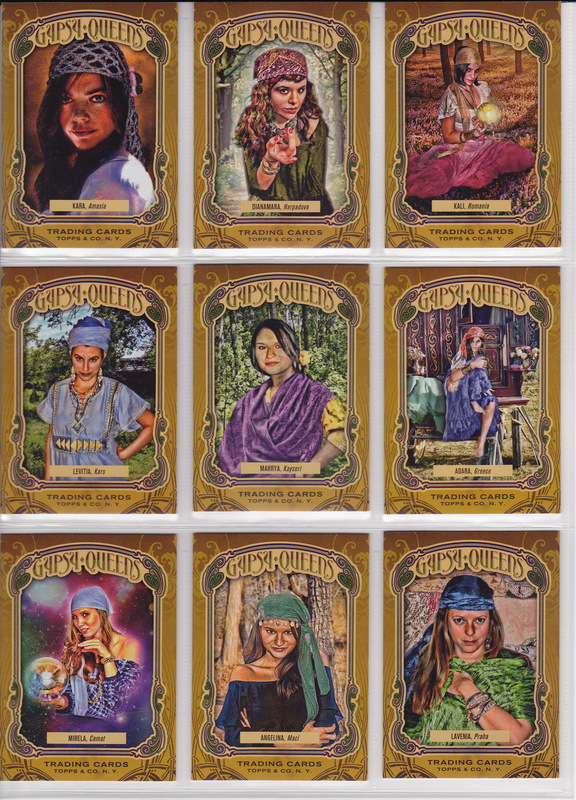 Before I get started on some of my more detailed review of 2012 Gypsy Quee, I’ll look back at an insert set I completed from last year’s product. 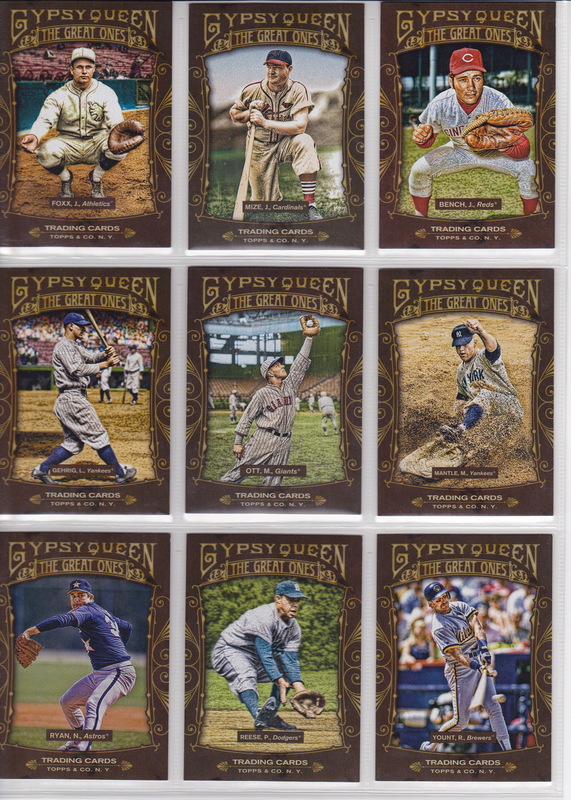 The fifth “standard” baseball insert set I’ve completed from 2011 Gypsy Queen is the last baseball insert set and the 2nd retail only set – Sticky Fingers. Set description: 15 current infielders with photos showing off their defense. The standard “Gypsy Queen” lettering is at the top with “Sticky Fingers” written just below it. The border is made to look like a honeycomb with “sticky” honey, and you will find a buzzing bee here or there – but no Winnie the Pooh! The back references a specific play the player made, but the picture on the front doesn’t necessarily match. Hall of Famers: None – these are all current players. I like whenever they have insert sets with legitimate themes better than just anything to get good players in the set. The hobby inserts sort of have themes – but this one is much more specific, and I like the fact that it’s different. Like Wall Climbers, the insects are kind of creepy! Pudge was one of 3 cards from a massive Sportlots purchase back in January. Just like the Wall Climbers cards, these have really good attention to detail. 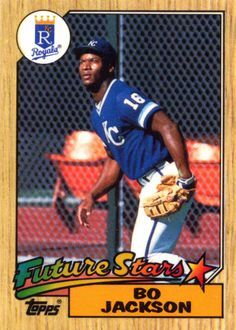 The Phillips card shows this very well – from his uniform, to his gold Oakleys being upside down on the top of his head, to the World Series champion logo on the outfield wall in the background – this card shows all of that well. And he’s a Red, so it beats out the Pudge card with him decked out in catcher’s gear making a play. My scan below probably doesn’t even do it perfect justice since it’s a horizontal card (number 9), but I’m not pulling it out of the sheet just for that! 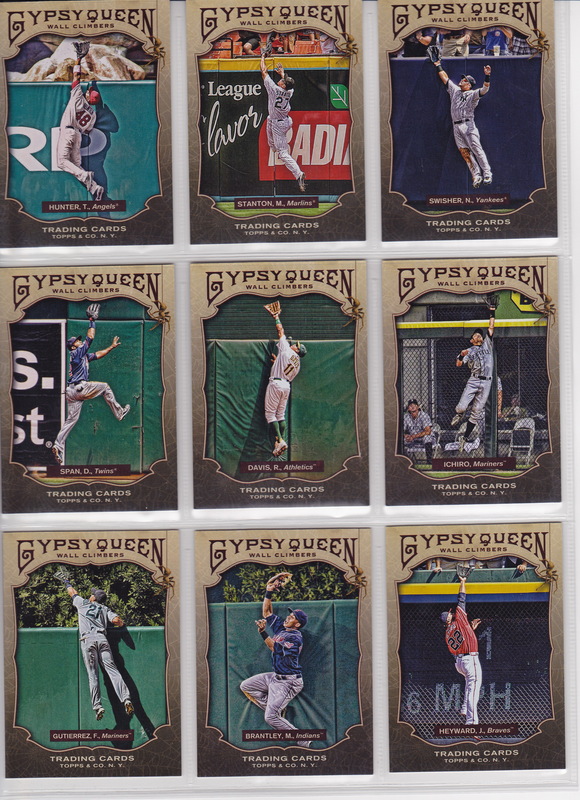 The fourth “standard” baseball insert set I’ve completed from 2011 Gypsy Queen is a retail only set – Wall Climbers. Set description: 10 current outfielders with photos showing off their defense past the warning track. The standard “Gypsy Queen” lettering is at the top with “Wall Climbers” written just below it. The gray-ish border has cob webs throughout. I like whenever they have insert sets with legitimate themes better than just anything to get good players in the set. The hobby inserts sort of have themes – but this one is much more specific, and I like the fact that it’s different. The spider webs are kind of creepy, but so are gypsies! I got this card in a trade with a reader of the blog. These cards have really good detail. The Torii Hunter you can see the rocks in Anaheim’s outfield in the background. On the Nick Swisher, you can see a jumbo cup placed on the wall by a fan. On the Ichiro – there’s a chain link fence and you can see a Seattle reliever looking on. 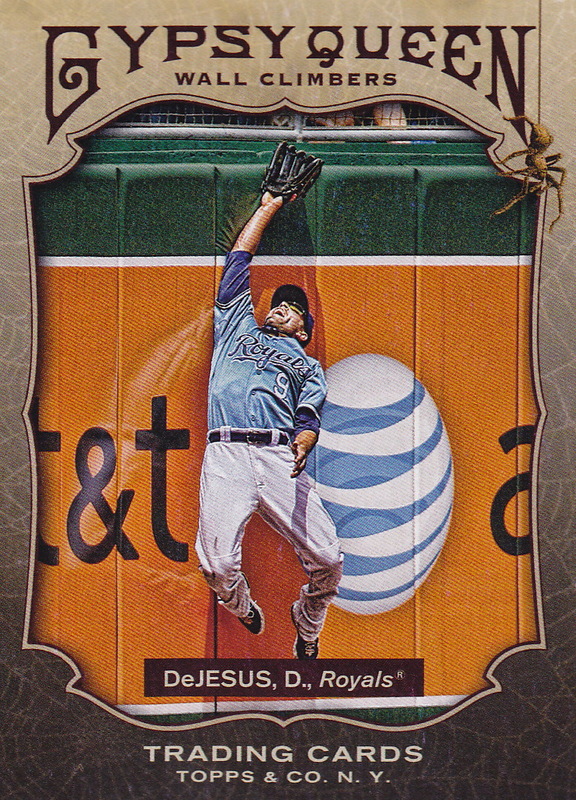 He’s right in the middle of his leap – it’s a cool card. My Favorite Reds card: They really should have put Jay Bruce in here. He’s had a few great catches – and there’s one from late in the 2010 season in the corner at Great American would definitely qualify. 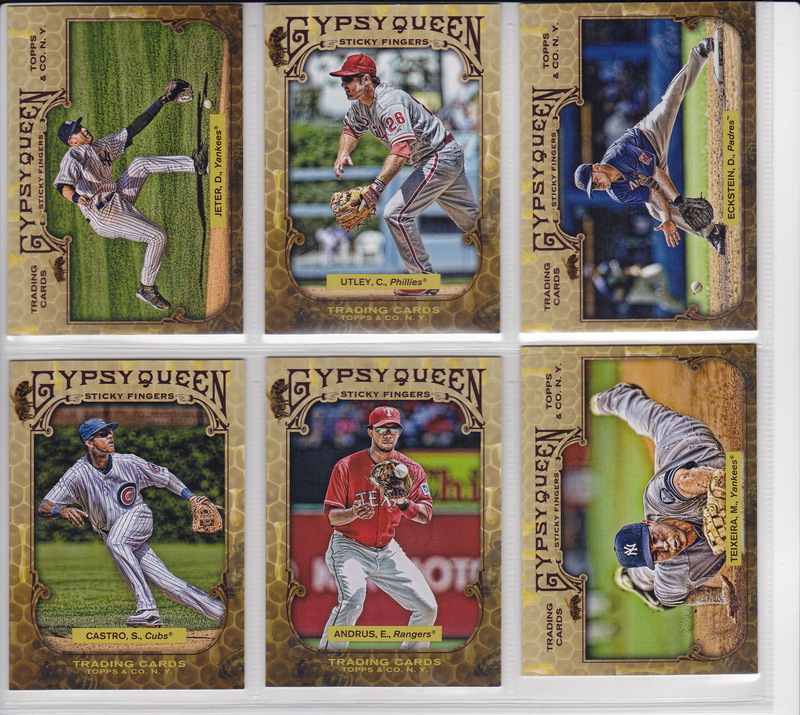 The third and final “standard” baseball insert sets I’ve completed from 2011 Gypsy Queen is the Great Ones set. 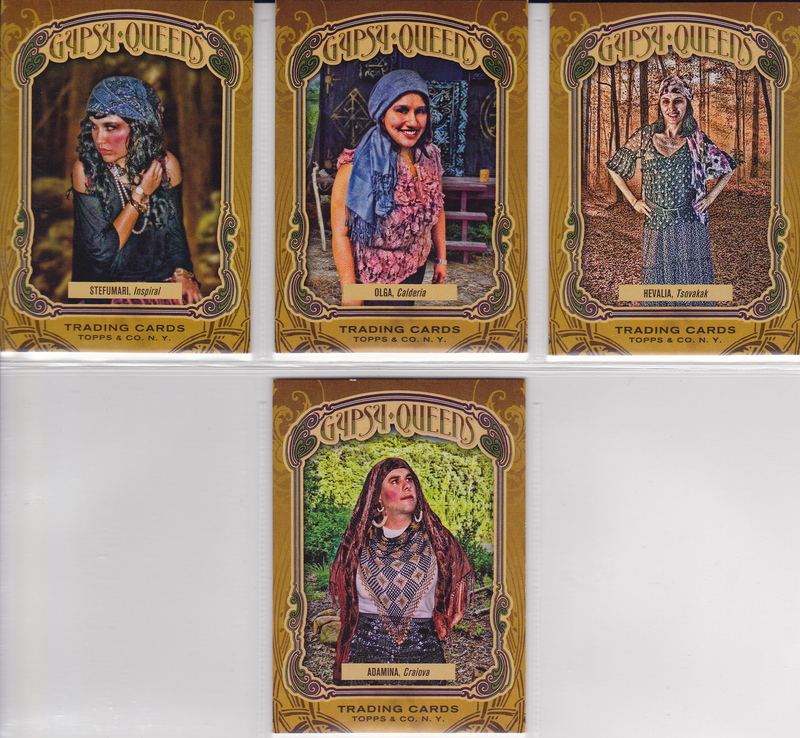 I’m still working on the actual Gypsies insert set and have just a little to go on the base set, too. Set description: “Honoring 30 legends who have led the league in a statistical category”. Another fairly broad description, but I still like what they’re doing by giving the set some parameters. The cards have a maroon border with some fancy siding. The Gypsy Queen script is at the top, with a banner with “Great Ones” just below that. Hall of Famers: 26. Everyone but Thurman Munson is enshrined in Cooperstown. Also, the last 3 cards feature players on their second card in the set, but with a different team from the earlier card – Babe Ruth (Yankees), Frank Robinson (Reds), Nolan Ryan (Rangers). Thoughts on the set: I like what Topps did with their 3 regular insert sets. This one is a full retired players set, Home Run Heroes was mixed, and Future Stars was all current players. This is the middle one as far as my favorite. I like that they gave it parameters – but I don’t like that they put 2 cards of players in the set. One of 2 cards (the other being the Mick) that I got from Check Out My Cards in the beginning of December. Same answer as the Home Run Heroes sets. When it comes to Beckett book value – the Mick is king. Double-X with an old school catcher’s mitt. I’d have never known it, but Foxx did play over 100 games at catcher in his career. This narrowly beats out the Mantle card. The photo for the Mantle(well, for Gypsy Queen – the painting), is actually the same as an early 90’s card from Score of the Commerce Comet. The shot is clearly set up – hard to tell in the GQ card, but for the Score card, it’s easy to tell it’s not during a game. Either way, the flying dirt looks great. This beats out the Frank Robinson for a couple of reasons. It’s his first card, and like I said, I don’t like having multiple cards of the same player in a 30-card insert set. Plus, the Bench photo is just cooler – and the Robinson photo is the same one as his Reds base set card. 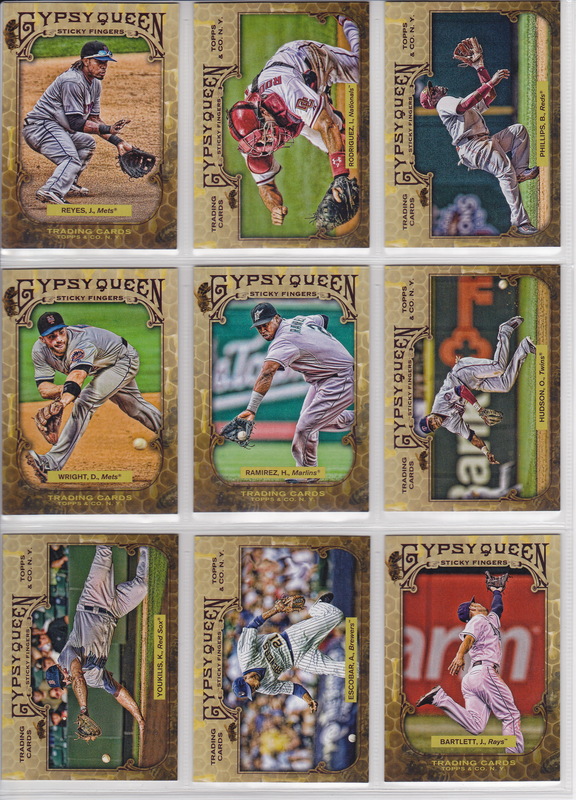 On to the 2nd “standard” insert sets from 2011 Gypsy Queen that I’ve completed – Home Run Heroes. The name, at least, is copied off an Upper Deck insert set from the 1990’s that I always thought was a pretty sweet set. Set description: “25 veterans and retired stars who led the league in home runs or had game-changing home runs”. That’s a pretty broad range of possibilities. The front has a dark green border with the Gypsy Queen script at the top and Home Run Heroes in a ribbon just below that script. They have some interesting takes on the backs describing why each guy is on there. Thoughts on the set: As I mentioned in the last post, I like what Topps did with their 3 regular insert sets. None of them blew me out of the water, but I like this one. I think they could have done a few more former players – Ty Cobb (only winner of the quadruple crown) or Rickey Henderson (most leadoff homers) would have been interesting additions. Oh, and a home run set with retired players – and no Hank Aaron (who was in the base set)? I got this from Check Out My Cards as part of a lot I bought to finish off a bunch of sets. Booking at 8 bucks, a little more than the Ruth and Pujols cards. This card captures his trademark swing where the lefty picks up his front foot and lowers his bat parallel to the ground. Just edges out the Lou Gehrig, which captures him on the follow through. The only Red in this set. I found the “reasoning” for each selection interesting. Below is a quick description of the back for each player, and the # or career home runs. One thing I learned doing this – they start with Ruth, then go backwards from 2010 in showing the league home run kings. 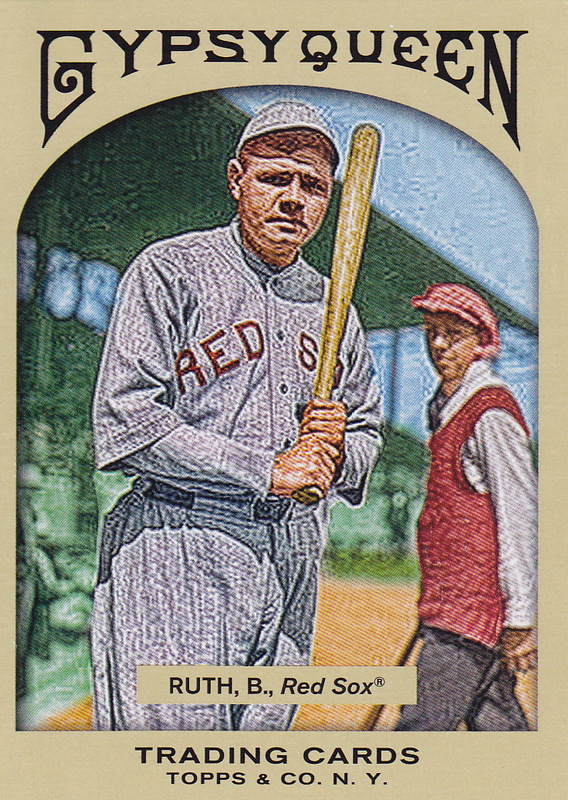 HH1 – Babe Ruth (714). Great to lead off with Ruth. This card takes a unique look and points out that he was actually ahead of his 60 home run pace in 1928, before finishing with a strong 54 home runs. HH2 – Albert Pujols (445). 2010 and 2009 NL champ. 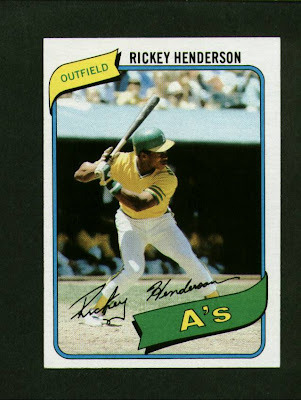 The card points out that the newest Angel has the highest chance of reaching 900 home runs – 2%. Also notes that he, Johnny Mize and Mark McGwire are the only Cardinals with back to back HR titles. HH3 – Jose Bautista (156). 2010 AL champ. His home run differential in 2010 of 12 over the next highest major leaguer and 15 over the 2nd place AL player were the most since Mantle and Mays. HH4 – Mark Teixeira (314). 2009 AL co-champ. The first switch-hitter since Mantle to win the AL HR crown. HH5 – Carlos Pena (258). 2009 AL co-champ. He became the first player to lead the league while missing the last 25 games. HH6 – Ryan Howard (286). 2008 and 2006 NL champ. Howard’s ability to hit a flurry of home runs led to his 2 titles, and he’s the only Phillie other than Lenny Dykstra to hit 2 homers in a World Series game. HH7 – Miguel Cabrera (277). 2008 AL champ. HH8 – Prince Fielder (230). 2007 NL champ with the Brewers. Unfortunately the card has 2 errors on it. First, the front misspells his name as “Feilder”. And, the back says it was an AL crown. HH9 – Alex Rodriguez (629). 2007 AL champ (and 2005, 2003, 2002, and 2001) also became the youngest 500-HR club member that year. HH10 – David Ortiz (378). 2006 AL champ with 54 – a Red Sox team and DH single season record. HH11 – Andruw Jones (420). 2005 NL champ with 51 – a Braves record. HH12 – Adrian Beltre (310). 2004 NL champ – his 48 tied Mike Schmidt’s third baseman record, which was later broken by A-Rod. HH13 – Manny Ramirez (555). 2004 AL champ, who also went deep and won the World Series MVP that year. HH14 – Jim Thome (604). 2003 NL champ – his only title, even though he hit more for the Tribe in 2002 and 2001. HH15 – Troy Glaus (320). 2000 AL champ – going back pretty far with Glaus, who actually didn’t play in 2011. Who did they not include from the HR kings in the 2000’s? Only the NL champs from 2000-2002, who are both retired and, ahem, known for some questions surrounding those crowns Sammy Sosa (2002 and 2000) and Barry Bonds (the all-time record in 2001). McGwire and Griffey Jr. were the ’98 and ’99 champs in the NL and AL, respectively. HH16 – Andre Dawson (438). 1987 NL champ with 49 in his MVP first season with Chicago. HH17 – Frank Robinson (586). 1966 AL champ with 49 in his first year with Baltimore. His triple crown that year was the only time he ever led the league in any of those categories. He also was the first player to hit a ball out of Memorial Stadium. HH18 – Jimmie Foss (534). 1932, 1933, 1935, and 1939 AL champ. His 58 homers in 1932 was the most between Ruth and Maris. HH19 – Johnny Mize (359). 1939 and 1940 NL champ, 1947 and 1948 NL co-champ. His blast in his last at bat of 1948 tied him with Ralph Kiner for the 2nd straight year. HH20 – Johnny Bench (389). 1970 and 1972 NL champ. He also hit a game-tying home run in the NLCS in 1972. HH21 – Lou Gehrig (493). 1931 AL co-champ, 1934 and 1936 AL champ. Gehrig’s triple crown in 1934 included an inside-the-park home run. He also would have won the outright title in 1931, if he hadn’t passed Babe Ruth (who he ended up tying) on the bases after one shot over the fence. HH22 – Mel Ott (511). 6x NL champ (1932, 1934, 1936-1938, 1942). HH23 – Mickey Mantle (536). 1955, 1956, 1958, 1960 AL champ. His 52 in 1956 netted him a triple crown and were 20 more than the next AL hitter. He also almost hit a ball out of old Yankee Stadium that year. HH24 – Rogers Hornsby (301). 1922 and 1925 NL champ. Hornsby’s 42 home runs in 1922 made him the first NL player to hit over 40 – and over 30 – home runs in a season. His two HR crowns were also triple crown seasons. HH25 – Tris Speaker (117). The 1912 AL co-champ with Frank Baker. He was just the 10th AL player to hit double digits. 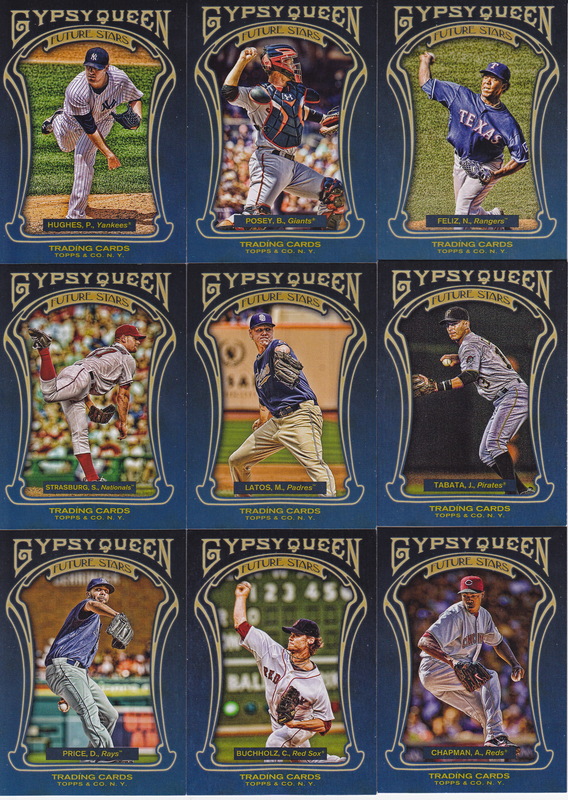 There are a few of your standard insert sets from 2011 Gypsy Queen – 4 of which are in all packs of the product (retail and hobby). The first one I completed was the Future Stars set. Set description: “20 Promising up and comers”. This set features guys who were rookies in 2009 or later. The front has a blue border while the back has a player write-up. Hall of Famers: None. However, 2010 ROY’s Buster Posey and Neftali Feliz are included. Thoughts on the set: I like what Topps did with their 3 regular insert sets. This is probably my least favorite, but it’s still a good set. I actually got the last card back in September from a Sportlots purchase. Obviously, a set like this can fluctuate – but at the time of writing this, the Strasburg had the highest book value. Posey’s card features him in full catcher gear, looking ready to throw out a runner. Chapman beats out Yonder Alonso.